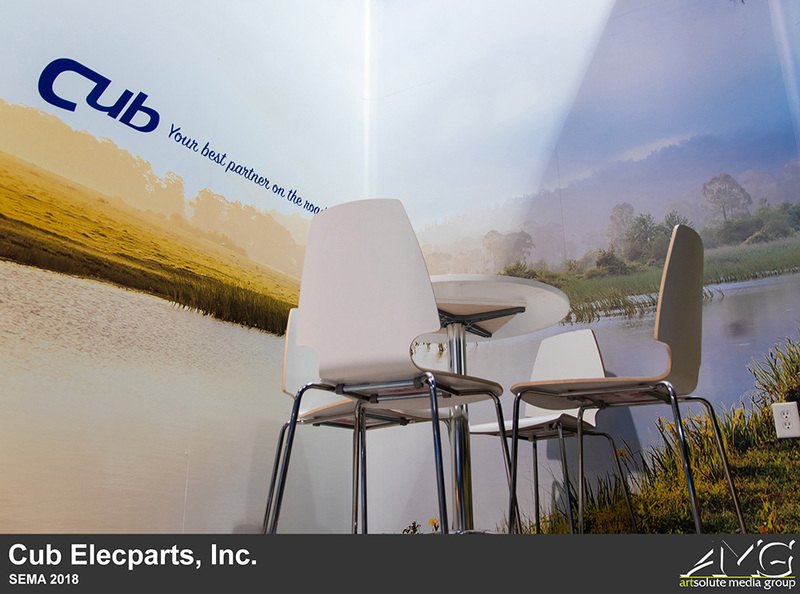 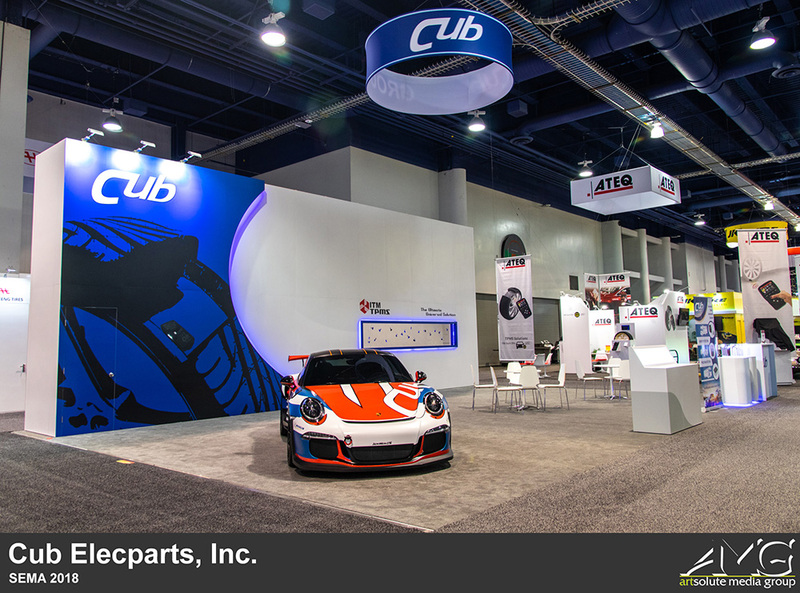 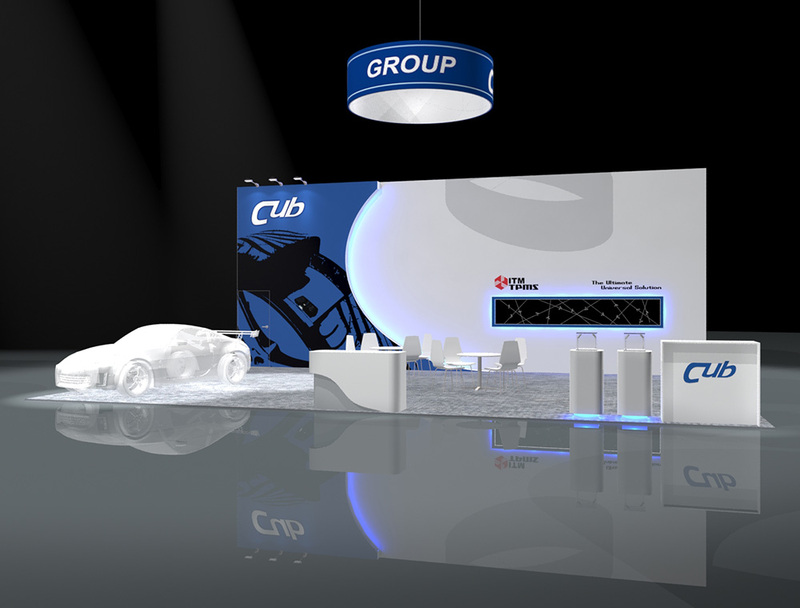 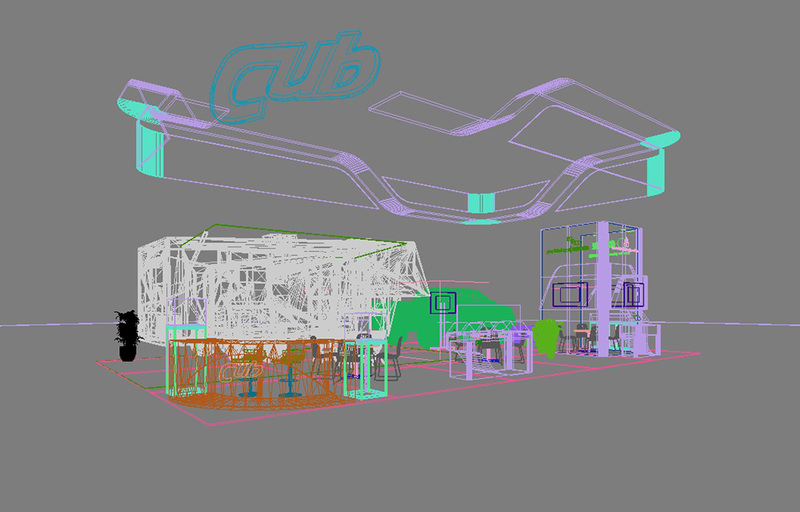 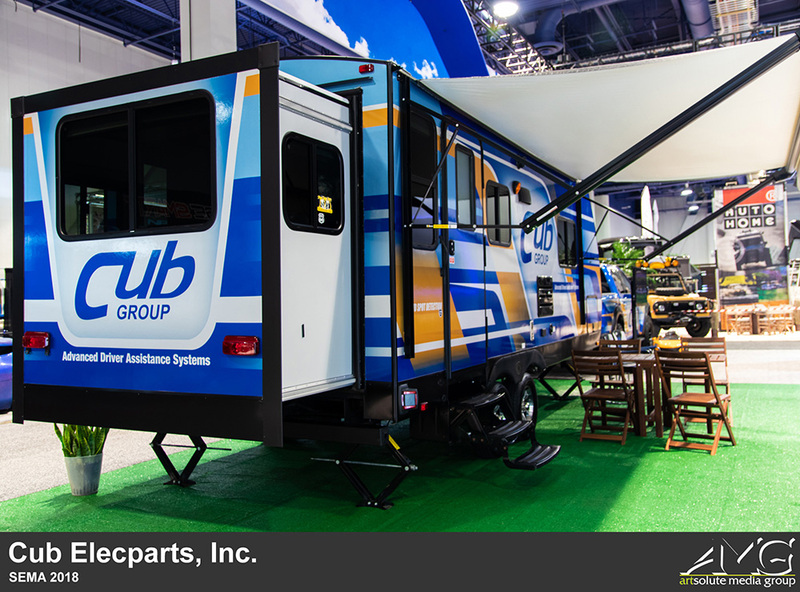 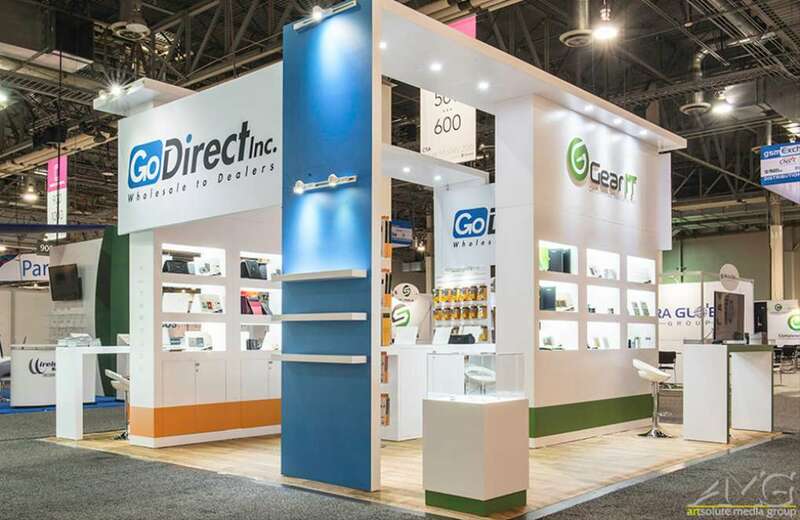 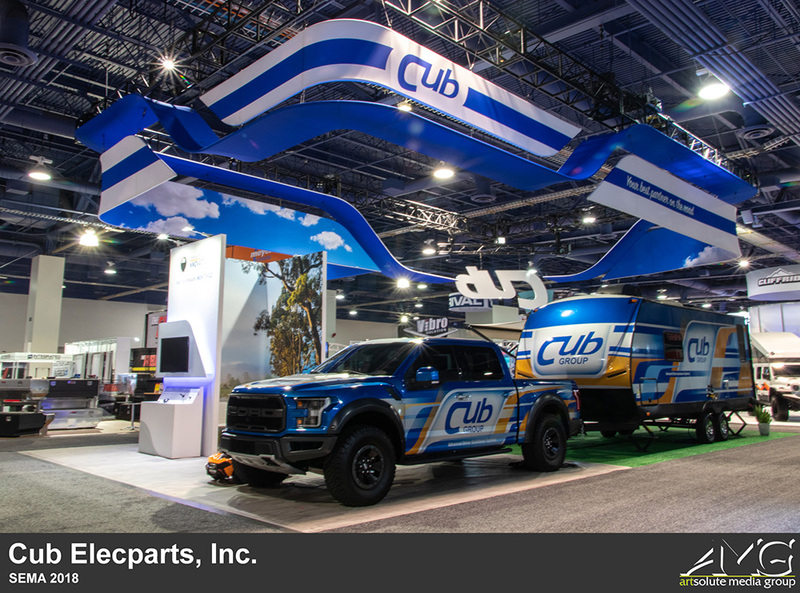 For this year's SEMA show, Cub Elecparts decided to go with two separate exhibits in order to maximize exposure. 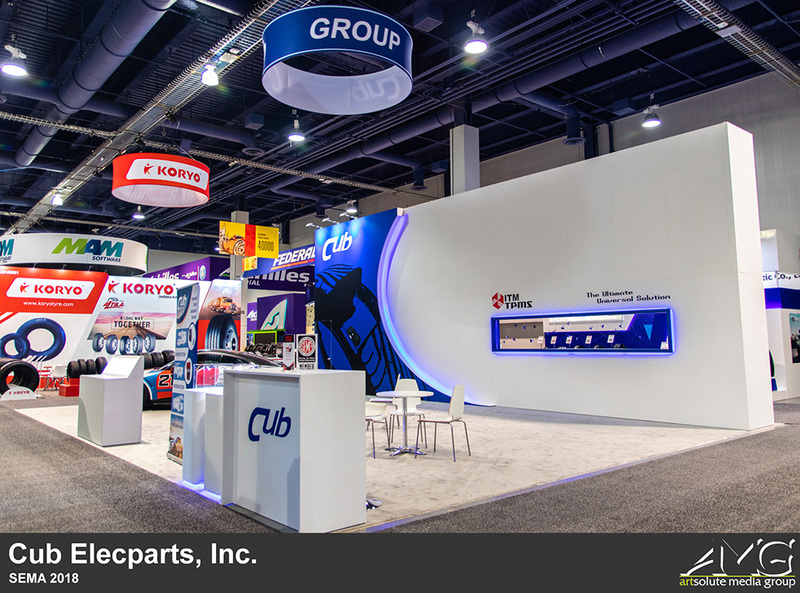 The first exhibit, located in South Hall Lower, was designed to be simple and minimalistic. 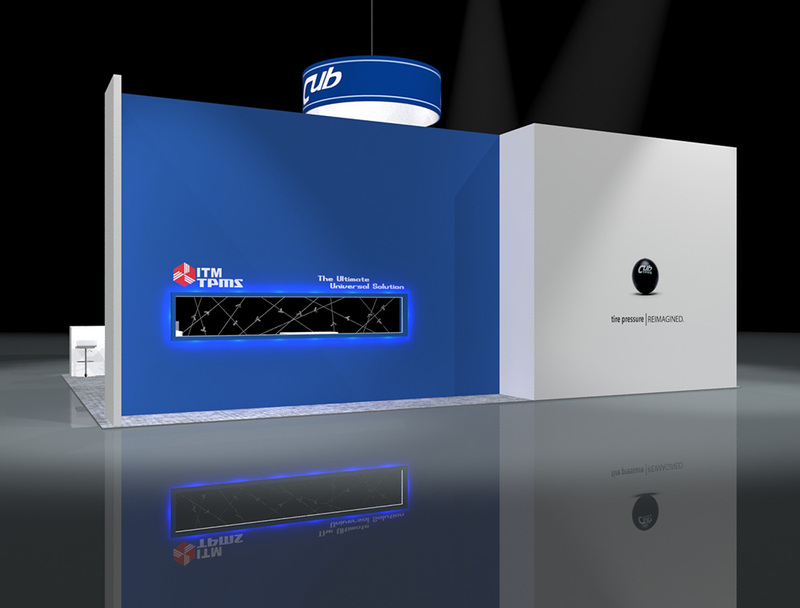 It features a large 40ft wide backwall as well as a rotating circle banner hanging above the exhibit. 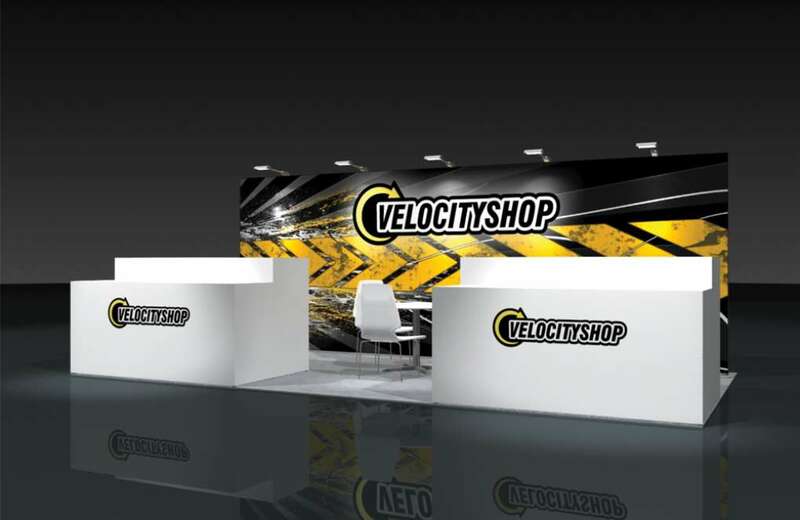 There's also a show car along with a few display podiums, counters, and table sets. 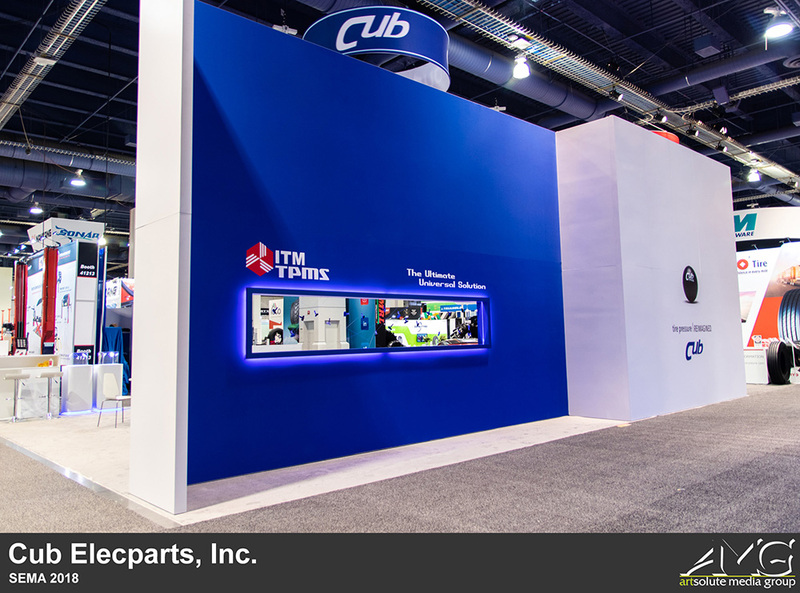 The design of the exhibit was intended to be straightforward and uncluttered, so we made sure to include only the things that were most necessary into the space. 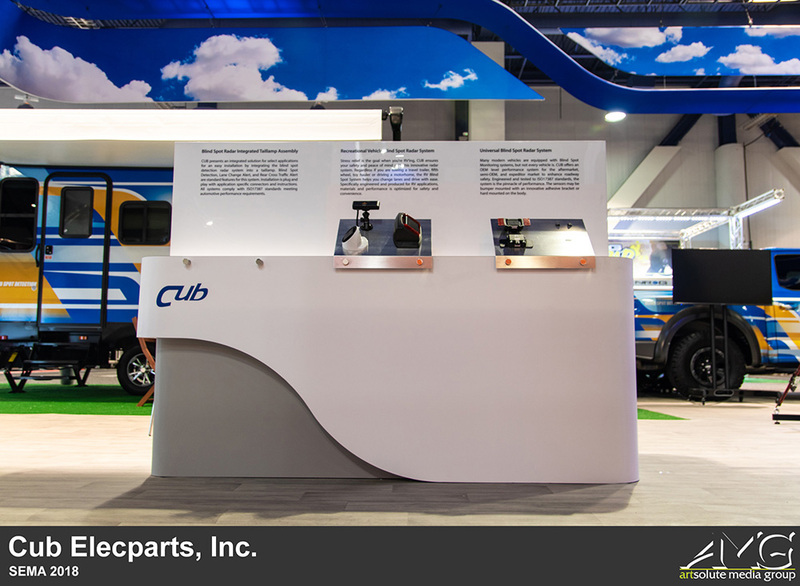 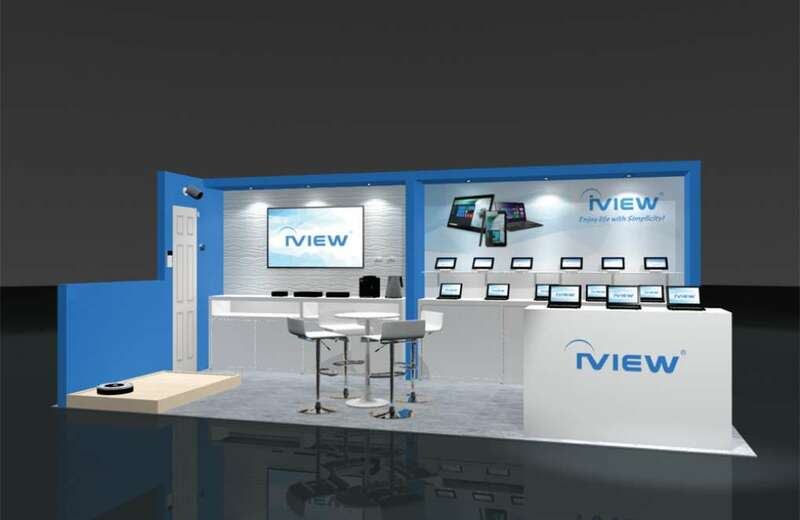 Cub also wanted to incorporate some sort of interactive experience into their exhibit, which is why we dedicated a portion of the backwall to display their products out in the open, encouraging attendees to touch and feel it with their own hands. 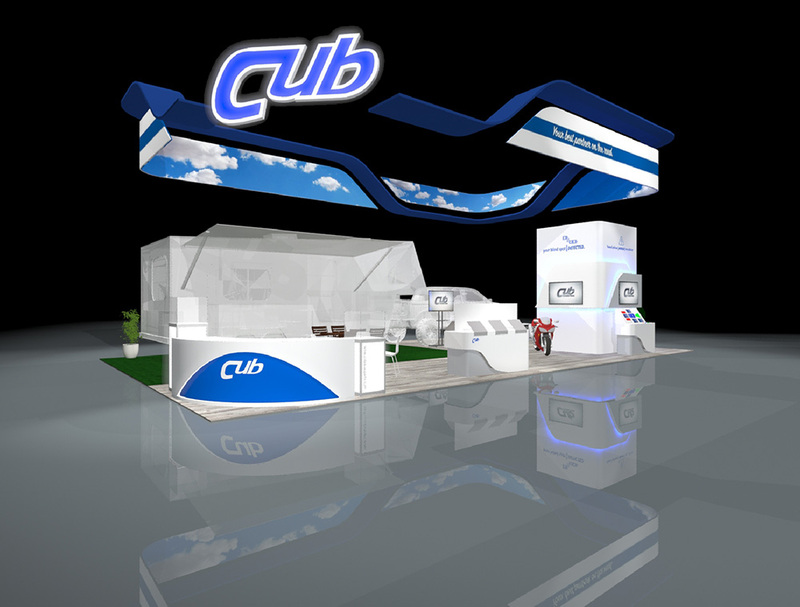 Cub's second exhibit was located in South Hall Upper. 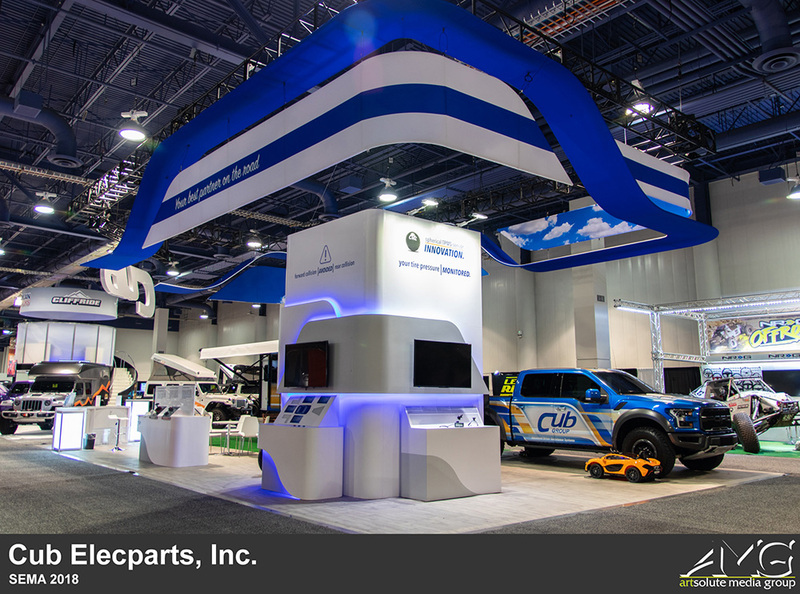 This display was not only bigger in size, but more elaborate in design as well. 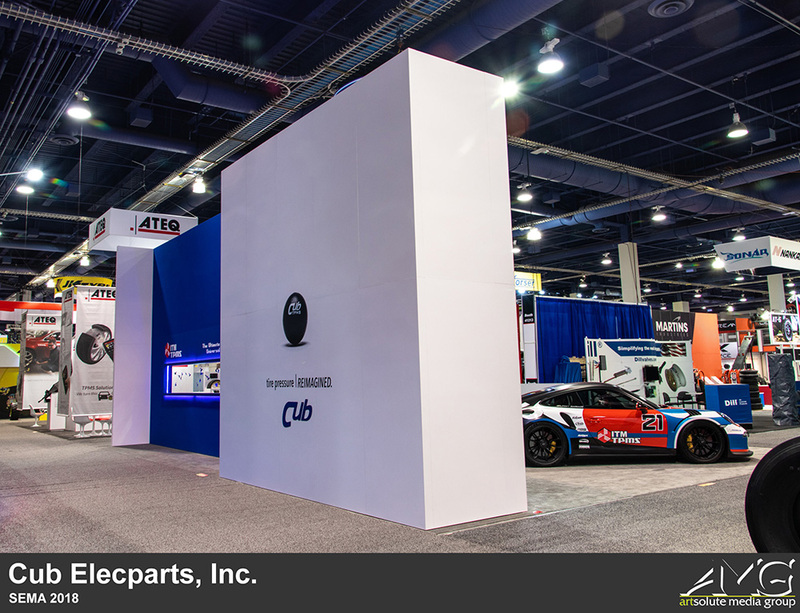 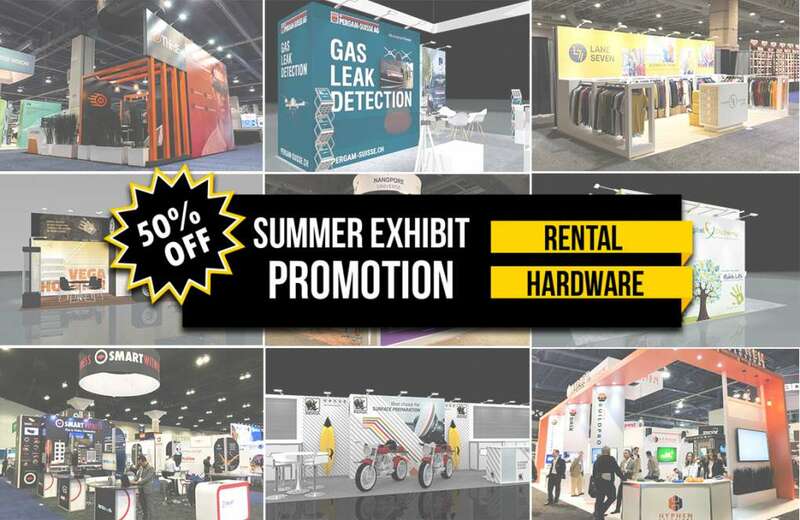 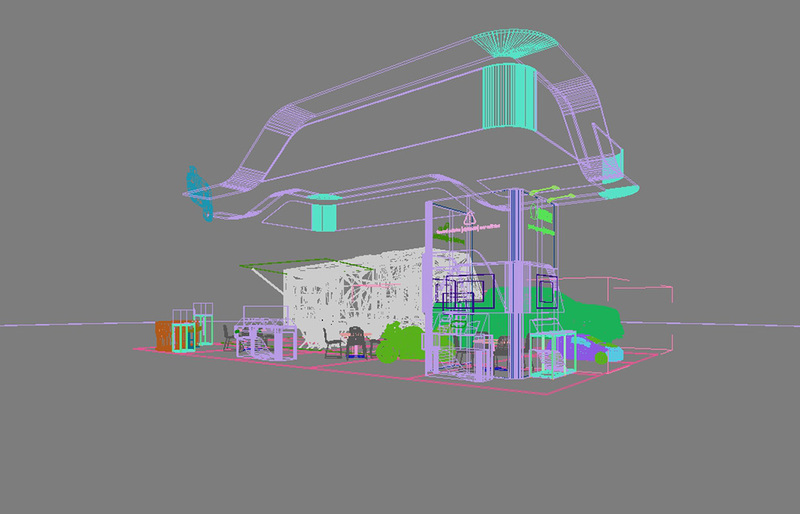 As you can see from the pictures, the main focal point of the exhibit is the enormous hanging sign that wraps around the entire perimeter of the 40x50 exhibit space. 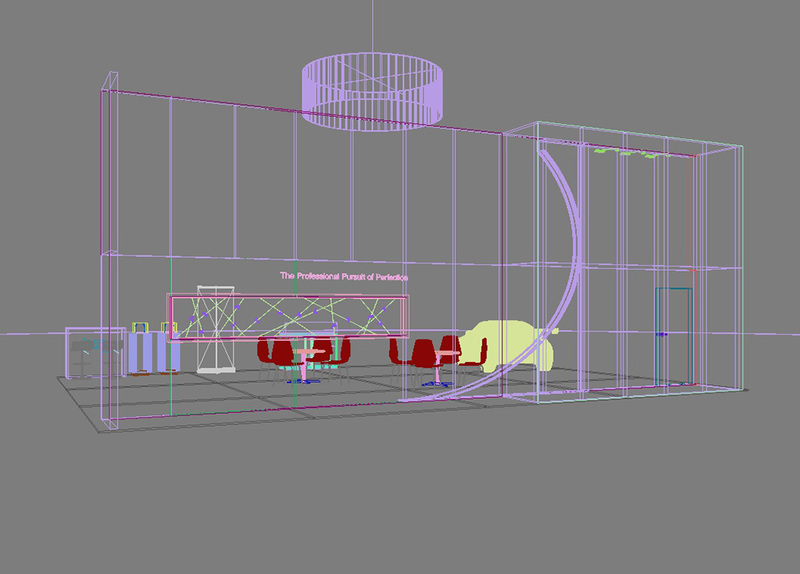 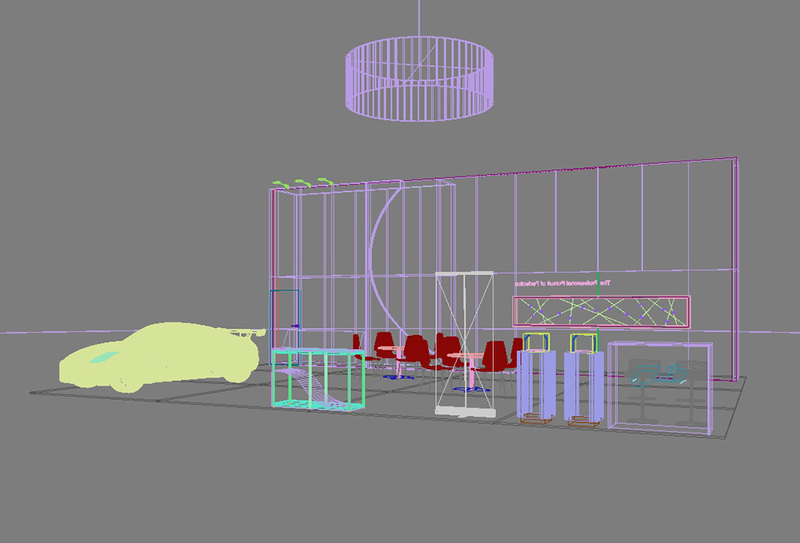 It was designed to look like a set of intertwined ribbons flowing and fluttering in the air. 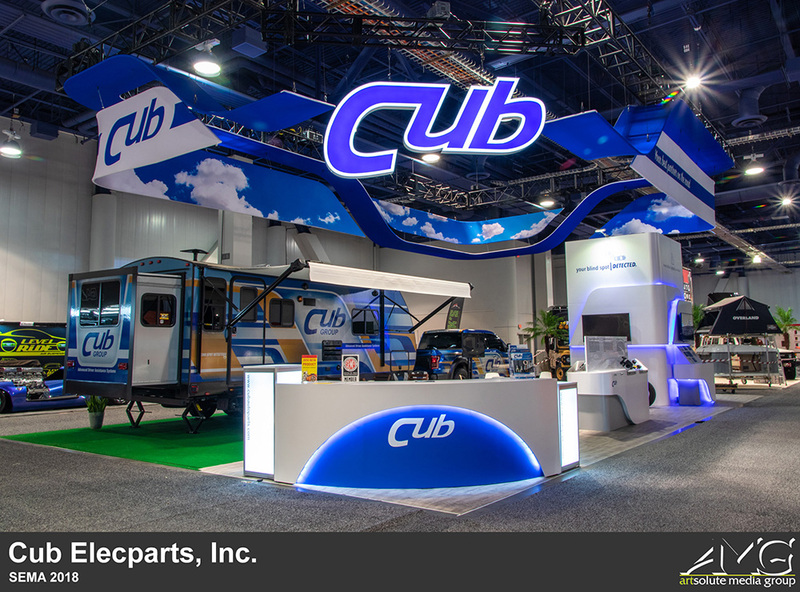 The cloud imagery on the inside of the hanging sign added to the overall aesthetic of the exhibit and helped create a sort of outdoor setting within the display. 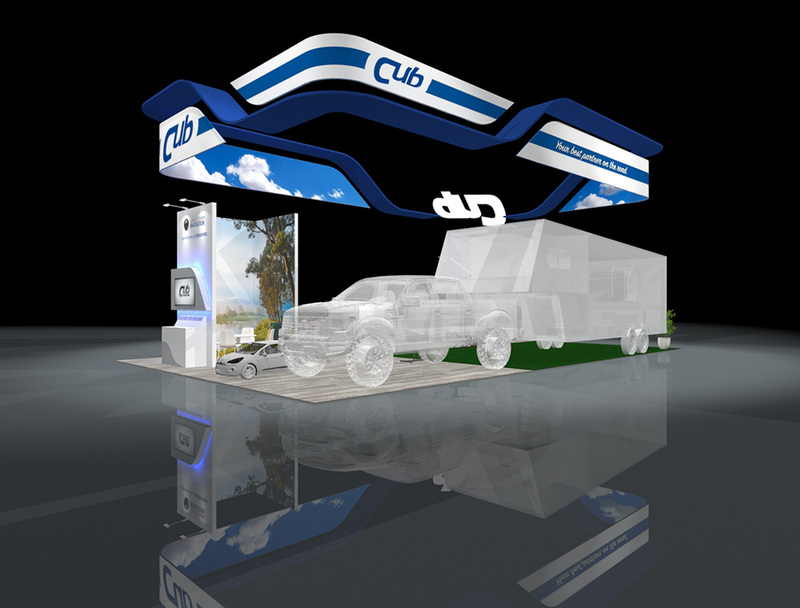 Initially, the hanging sign proved to be a challenge, as it was very difficult for a banner of that size to be completely balanced. 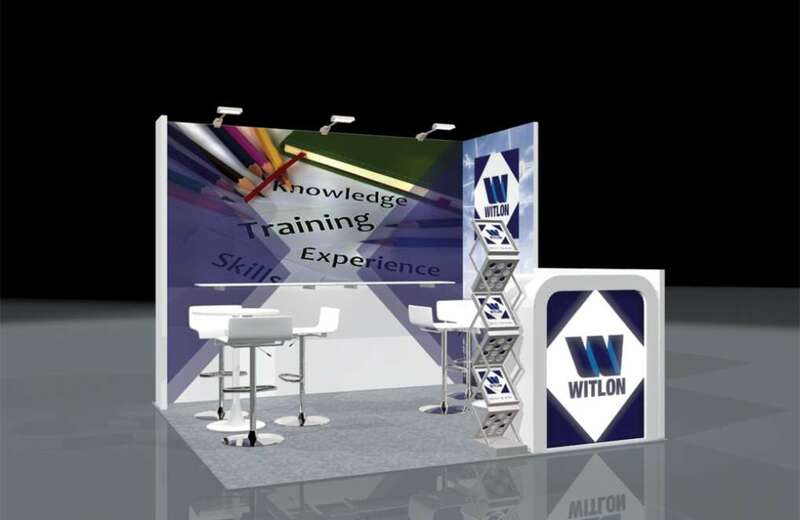 However, we overcame that difficulty by incorporating a truss system into the hanging sign itself. 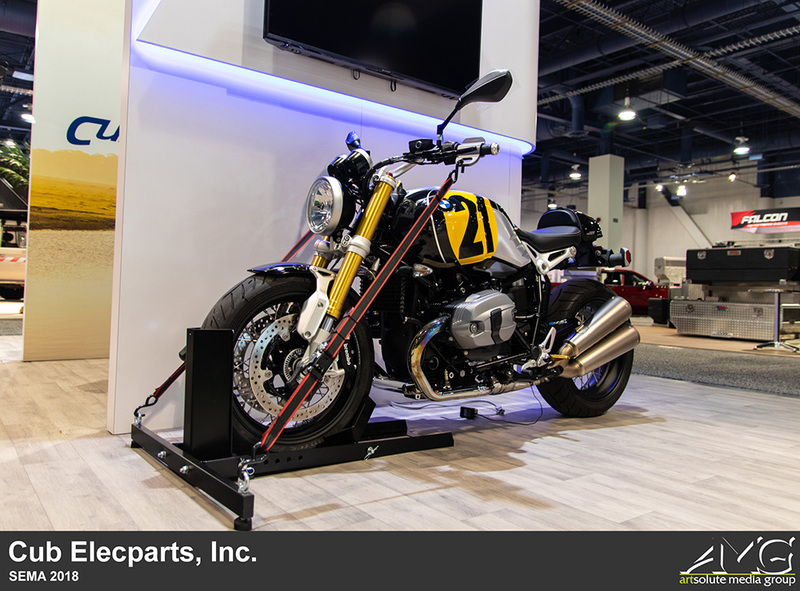 Moving along, the exhibit also included an RV, a pickup truck, and a motorcycle, along with a large freestanding display equipped with TVs and product. 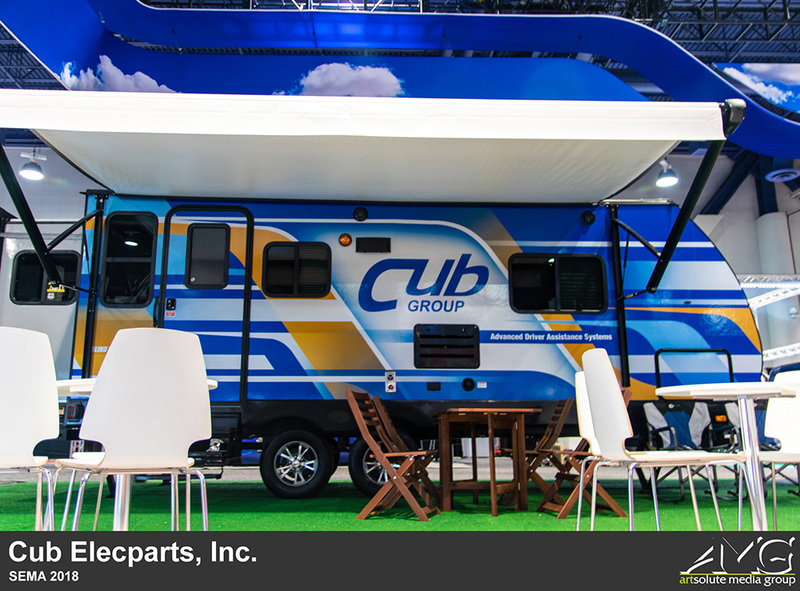 In order to further emulate an outdoor environment, design elements such as potted plants, green carpet, and picnic tables were added to the display.